Theresa's Mixed Nuts: NuNaturals Review & Pumpkin Mousse + Strawberry Oatmeal Breakfast Bread Recipes! 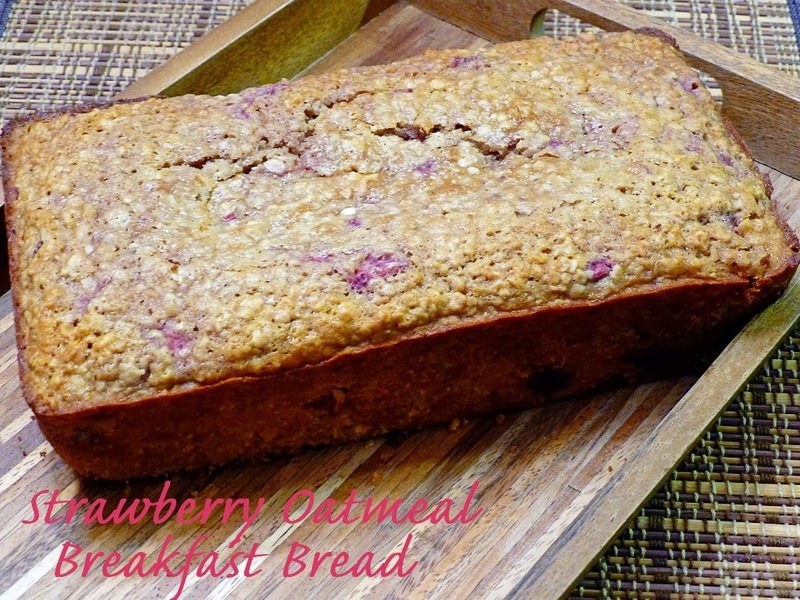 NuNaturals Review & Pumpkin Mousse + Strawberry Oatmeal Breakfast Bread Recipes! A while back I had the opportunity to review some wonderful NuNaturals Stevia products. Since then, they have been my go to sweetener for my food and beverages. My body does not tolerate high doses of refined sugar products, so I was thrilled to find by body tolerated NuNaturals Stevia perfectly well. 100% Natural. They do not contain Calories, Carbs, Aspartame, Saccharine, Sucralose, High-Fructose Corn Syrup, Sugar, or artificial colors and sweeteners. NuNaturals has given me the opportunity to review a few more of their products, and today I want to introduce you to some of their new product line. First, I was excited to see a Cherry Vanilla Stevia Liquid. I am already a fan of the vanilla liquid stevia, so I couldn’t wait to try the cherry vanilla flavor. Since I stopped drinking sweetened tea, every now and again I love to add a little flavored stevia liquid to liven things up. Just a few drops was all that was needed to get a nice hit of the cherry vanilla flavor, and it was yummy! I also tried just the plain cherry, which was good, but I preferred the cherry vanilla more. I have also been using the liquid stevia in my water bottles that I take to the gym. It’s a nice change from drinking boring water all the time. And it helps me increase my daily water intake! NuNaturals has another new product, which is the NuGrains Oat Fiber. NuGrain Oat Fiber is naturally produced from food-grade oat hulls through a proprietary process. This is a chemical-free process, turning organic hulls into various organic fibers. Oat fiber has many uses in baked goods, adding to smoothies, porridge, and other recipes where you want to boost the fiber content of the foods you eat. *Substitute 3 tablespoons of NuGrains Oat Fiber for every 8 servings per recipe. For example, if you recipe yields 24 cookies and serving size is 3 cookies, then substitue 3 tablespoons for flour in your recipe. 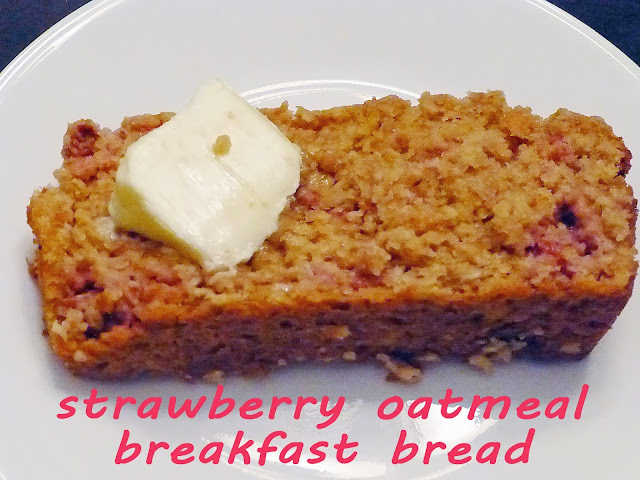 I recently made some Strawberry Oatmeal Breakfast Break with the NuGrains Oat Fiber, and it was scrumptious! Preheat the oven to 350 and lightly grease a bread pan. In a large mixing bowl, whisk together eggs, sugar, buttermilk, oil and vanilla. Whisk until combined. Sift in the flour, baking powder, baking soda and salt. Whisk until incorporated. Using a wooden spoon or a rubber spatula, mix in oats until all evenly incorporated. Bake for 25- 30 minutes, until the toothpick inserted in the center comes out clean. Combine pudding mix and pie spice in a medium bowl. With whisk, add evaporated milk. Mix until well blended. Add pumpkin. Mix well. Gently fold whipped topping into pudding mixture. Spoon into serving dishes. Top with additional whipped topping, if desired. Serve immediately, or cover and refrigerate. Makes 6 servings. Right now NuNaturals is offering a 15% Discount on your ENTIRE ORDER when you use code BLG1213 at checkout. The discount is good until 12/31/2013! If you would like to learn more about NuNaturals, you can find them on their Website. 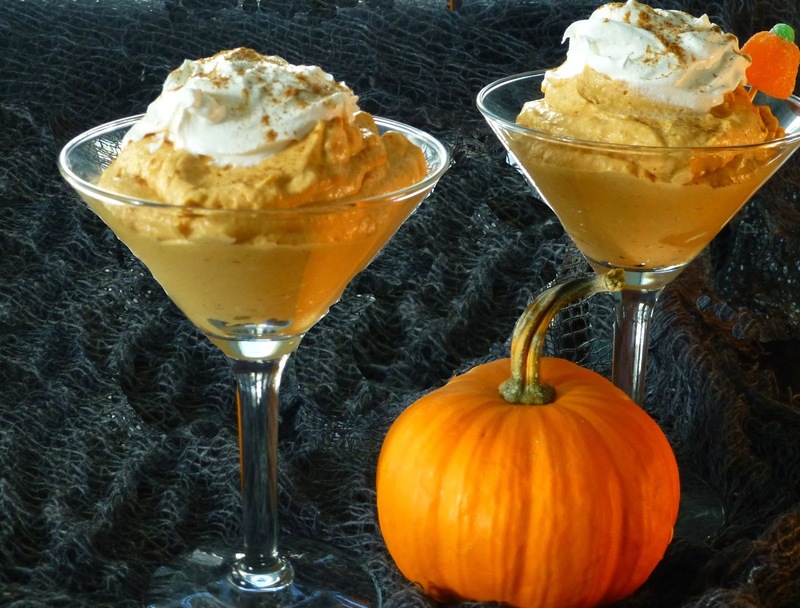 I am DROOLING over here at the pumpkin mousse. I need to get some of this stuff so I can make some....and then proceed to eat it all myself. HA! Great pictures, really this rich food, I choose the ice cream! looks so tasty and those sweetener liquids sound practical and inspiring too! I love Nutaurals! I saw that they are now selling their products in the health market of our grocery store. Love it! Oats in bread!! I feel so dumb not to have thought of it, but I bet it gives it a really nice density! That oatmeal bread looks like it turned out wonderful. I use nothing but NuNaturals Stevia for sweetening.